So whats the difference between the first and second edition weapon cases? Are second edition swords better? Cool beans. Take your time Winter, I love your mod ;). Where in the world is the config file?! Its not in the list with all the other configs. I have a crash when using the infinity enchant on one of your bows but with no arrow in my inventory. I'm decently certain it should either fire (because infinity) or not fire (because infinity) without an arrow, but not crash. Do you have an issue tracker I could list this on? Bug found, publishing update soon. Thanks! Hey Winter, I've this bug too, could you post that update? 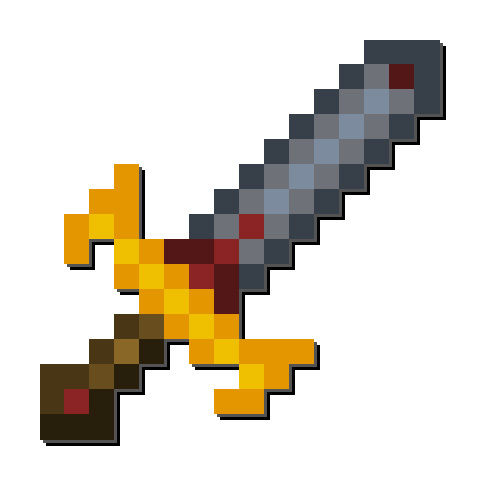 Is it ok if I use this in my modpack? Hey - just downloaded HermitPack and it's great! I love the idea of this mod but none of the textures are loading for me. It seems to be the only textures in the pack not to load. Suggestions? Works fine for me, using a resouce pack? I actually have the same issue, no resource pack or Optifine. It´´'s weird, I cannot replicate the issue, will keep checking. All items are fully functional, it's really only the visuals. I've looked inside the jar and all resources are there and correct.